Raymond Weil is an independent, family-owned business famed for their luxury Swiss-made timepieces. Founded in 1976 by the eponymous Raymond Weil, the brand has been at the forefront of innovation and technology ever since, maintaining its unique personality by crafting masterful horological designs inspired by art and music. 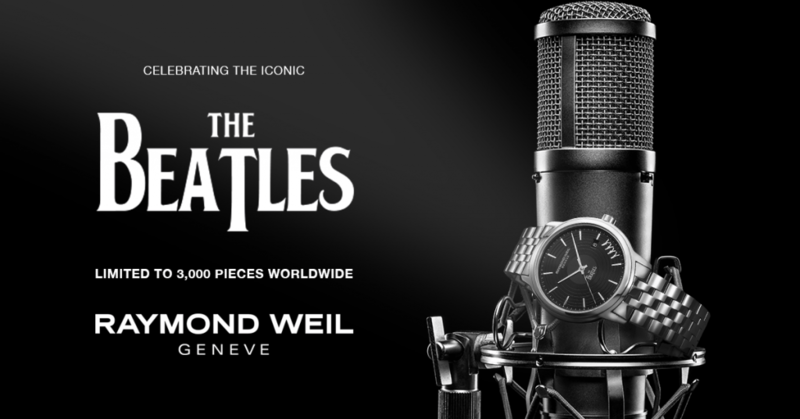 Indeed, recent Special Edition collaborations have celebrated musical icons such as Frank Sinatra, The Beatles, Buddy Holly, the Gibson Les Paul, David Bowie, and AC/DC. 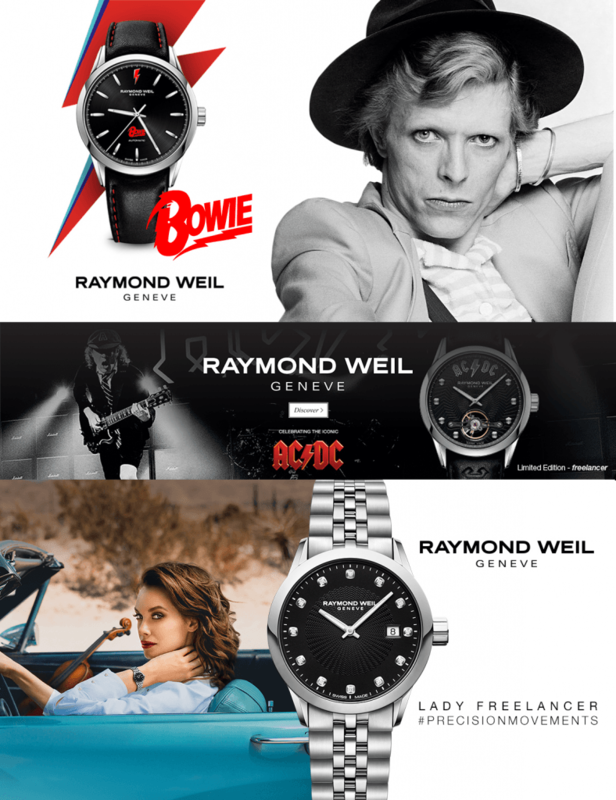 Raymond Weil had noticed that their UK brand awareness (particularly in the South of the country) was somewhat lacking, so needed help cultivating brand awareness and favourability amongst their target market. In fact, it was revealed during our initial market research that many members of their core Raymond Weil demographic had not even considered the brand when browsing for a new luxury watches – this needed to change! Although it would be important to show off personality through the brand’s online marketing activities, it would also be vital to comply with the brand guidelines set forth by the head office in Geneva. We used paid advertising on Facebook to boost brand awareness and market the brand to carefully targeted demographics. As part of this activity, we focused on replying to customer feedback on adverts and engaging with brand ambassadors – who are now such ardent fans of the brand that they often reply to and debunk negative comments before we do! In fact, in the initial 6 month period of working with Raymond Weil, Thunderbolt increased the percentage of traffic coming from Facebook to the UK site to an impressive 6%! 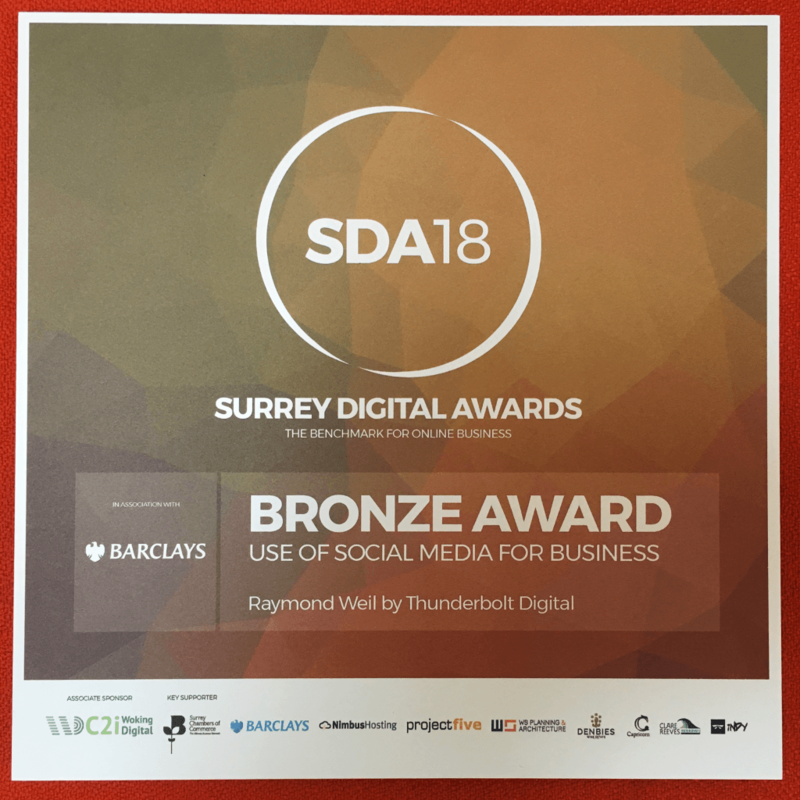 This social success contributed to Raymond Weil winning a Bronze Award in the “Use of Social Media for Business” category at the 2018 Surrey Digital Awards. Over and above this social media activity, we also devised a paid search strategy, which particularly focused on remarketing, since we identified a problem surrounding non-converters. A combination of Search and Display advertising was used to drive high volumes of relevant traffic to the website, while specific remarking adverts retargeted any individuals who meet certain interaction criteria, but had not completed a purchase. This activity saw great success, and the campaigns continue to run to this day.